4 questions that require students to add fractions and mixed numbers. Students are required to simplify and convert mixed numbers to get the question correct. Use scratch paper to find the answer. Type your answer here. 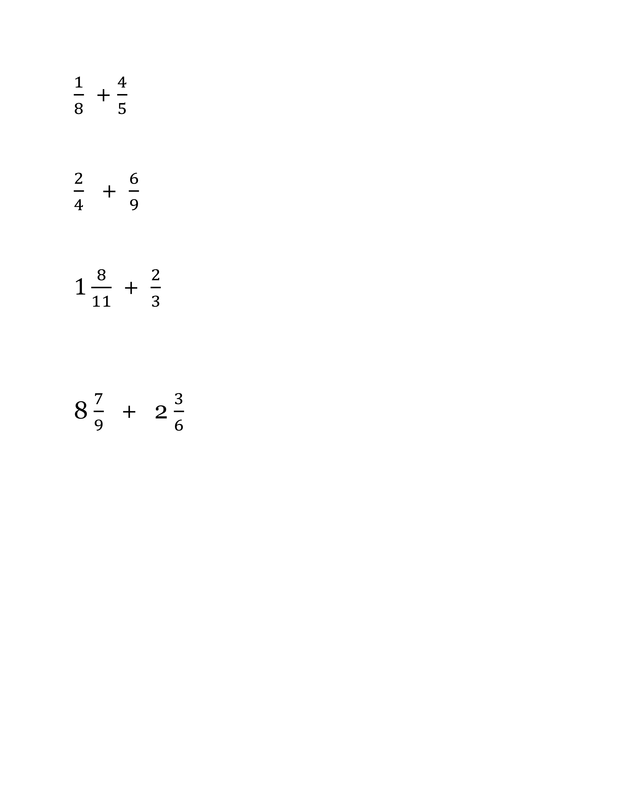 Use the / to create a fraction. Keep your scratch paper neat. You will turn it in.